The highlight of many a Fridays for the Nosy Parker family is my trip to our local organic market. Not only does Oliver’s offer incredible produce, but the bakers special-order our favorite ginger cakes and I’m greeted with hugs around the store! I love catching up with the kind-hearted staff, many of whom ask after Mama and our adorable Paisley each time I see them. I feel so welcomed and cared for that it makes grocery shopping a pleasure. Plus, I value the expert produce, cheese, and meat recommendations from the knowledgeable staff. I was thrilled to see Anna back at the register today. It had been ages since I’d seen her and I missed her warm smile. I was especially touched when she held aside ALL of my delicate/bruisable items from the bagging line conveyer so they could be gently placed on top. Not one single thing arrived home crushed, broken, or bruised. Amazing. Today’s #OneGoodThing was catching up with Anna while checking out! 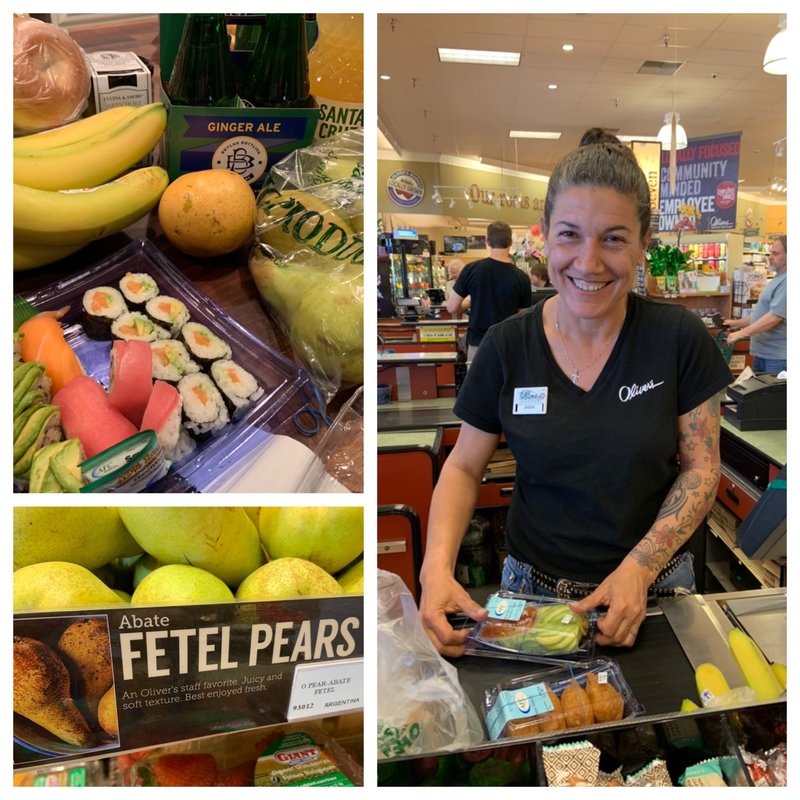 Many thanks to the incredibly helpful staff at Oliver’s Market, Stony Point location. You guys make the “Cheers” theme song play in my head! What was your #OneGoodThing today? Please share in the comments! Day 102 of 365. And Day 1,198 in a row (here’s the first 366, & the following 365, & the third year of 365 good things)!